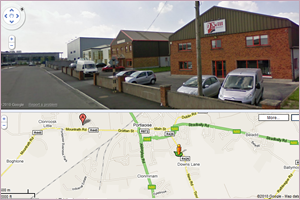 Showroom | Visit our Showroom in Portlaoise, County Laois. New Showroom Open In Tullamore, Co. Offaly. 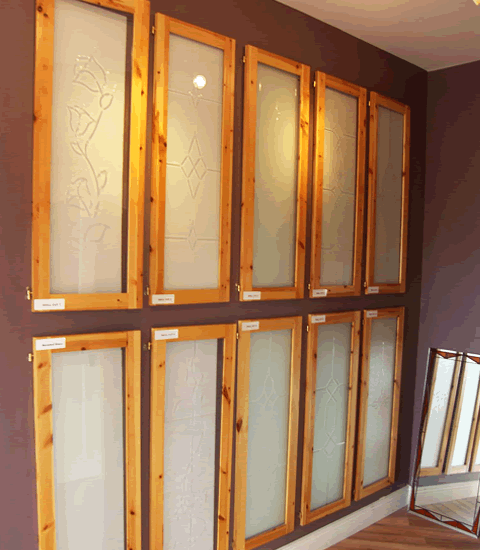 Tullamore Glass And Glazing,.Samples of Decorative Glass, Coloured Glass, Brill Cut Design Glass and Bevelled Glass. We now have a branch located in Tullamore! Showroom available for viewing. Check out our Tullamore Glass and Glazing Section. O'Neill Glass is located right at the very heart of Portlaoise amongst the prime shopping centres. We are situated directly across from the new Dunnes Stores and McDonalds (The Kyle Centre). Our showroom and office are open five days a week Monday to Friday from 8:30am to 5:30pm. At the moment our showroom is getting re-modelled and updated to cater for our ever growing product range. We hope to have it completed within the next following months and we thank you for your patience. Our staff are always on hand to help you find the best glass product for your needs. Click on the map for directions by car to our showroom.